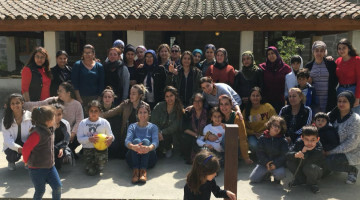 Women met at the grave of Sakine Cansız, who was murdered in Paris. Leyla Güven was also commended at the memorial. 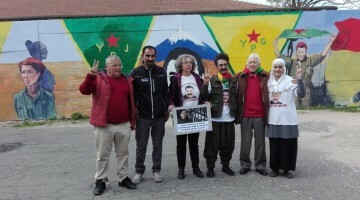 Members of the HDP Women's Councils and the Free Women's Movement (TJA) organized a memorial at the grave of Sakine Cansız, a female Kurdish revolutionary, murdered in Paris, on 9 January 2013. HDP Amed deputies Semra Güzel, Dersim Dağ, TJA Activist Ayşe Gökkan and HDP Dersim Provincial Organization executives attended the memorial which took place at Dersim Cemetery where Cansız is buried. At the memorial HDP deputy Semra Güzel remembered the three Kurdish women politicians, Sakine Cansız, Fidan Dogan and Leyla Saylemez, and said that "no matter how much you tell about the struggle of these women, you will always feel short of telling everything. After the murder of Sakine, Leyla, Fidan, three years later, Sêvê, Pakize and Fatma were killed in Silopi in the same way. The Paris Massacre is political, and it is an international plan." 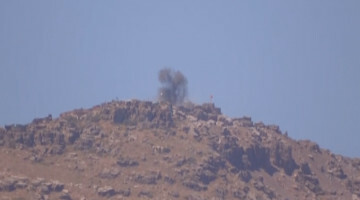 Güzel reminded that Cansız had been held in Diyarbakir No. 5 Prison and commended HDP Hakkari deputy Leyla Guven who is on the 64th day of her hunger strike. “Today again Amed prison is witnessing a historic resistance. However, the fascist mindset ignores Leyla's demands. 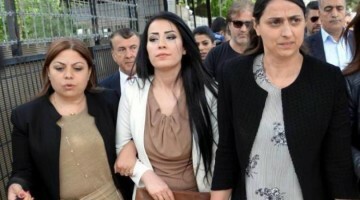 Leyla Güven said she would continue her actions until her demand is accepted." 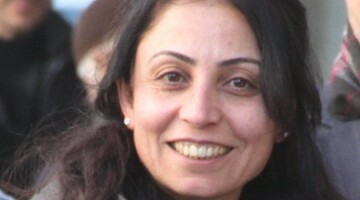 TJA activist Ayse Gokkan condemned the massacres against women in both Paris and Silopi. Gökkan said: "Women like Sakine are the leading names in the world women’s struggle, especially in the Middle East. We condemn those who do not shed light on the massacre." Gökkan ended her speech by greeting Leyla Guven who took over the heritage of Sakine. After the speeches, carnations were left on the grave of Sakine Cansız, and candles were lit.